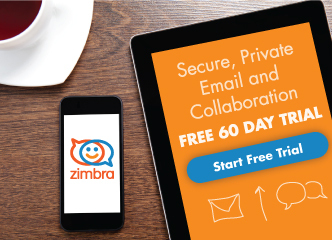 Today’s blog is a contribution from Carlos Pineda, Senior Solutions Advisor for Zimbra. 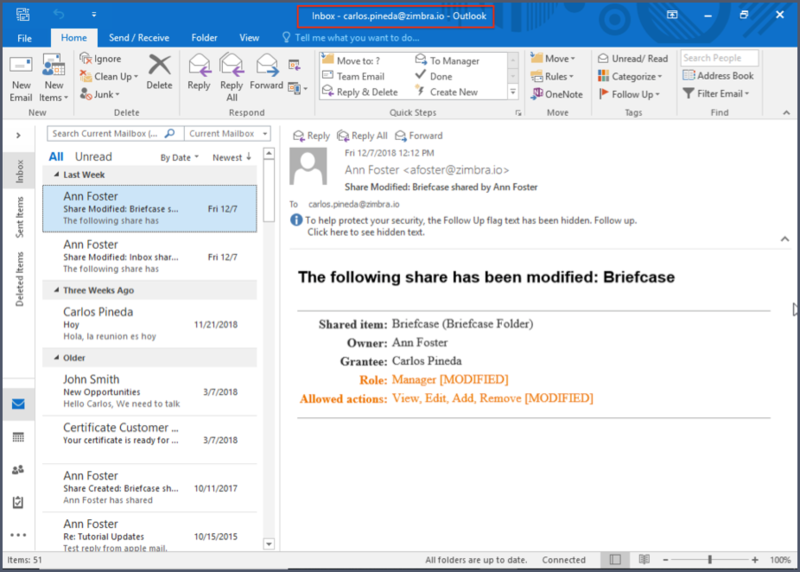 Starting with Zimbra version 8.8.10, you can access your Zimbra shared items in Microsoft Outlook 2016 using Exchange ActiveSync (EAS)! 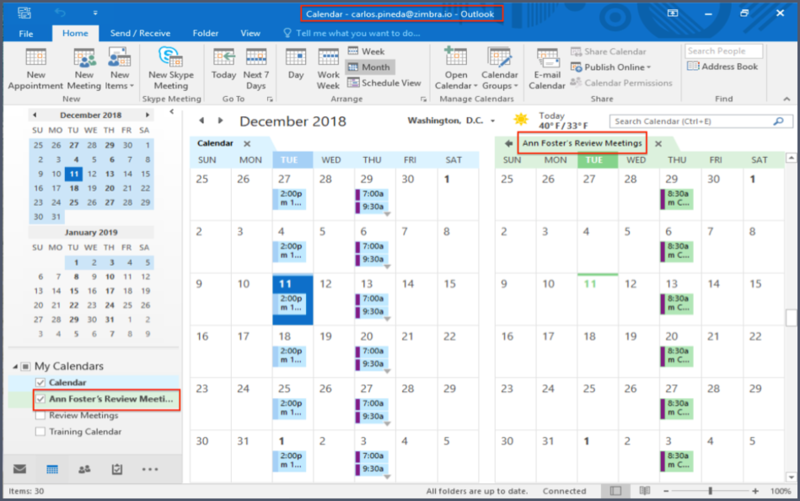 Just open Outlook, and you will see your shared Zimbra calendars and folders. In Outlook, click the File tab, then click the Add Account button. Select Manual setup. 2. Select Exchange ActiveSync compatible service. 3. Complete the fields with your username and the name of your Zimbra Mail Server. If you entered the correct credentials and everything is properly configured, you will see a complete status. 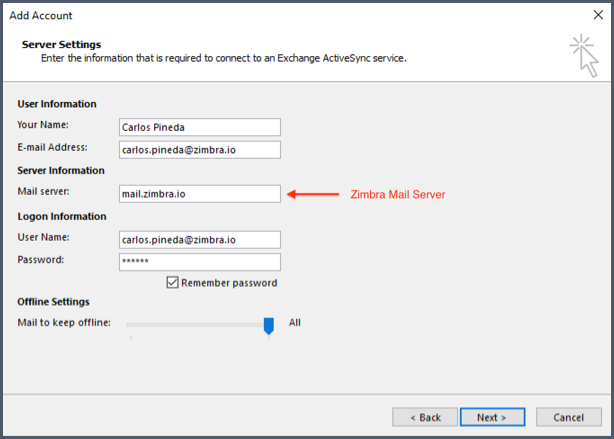 A sync process will run automatically, and you will see all of your Zimbra email in Outlook. 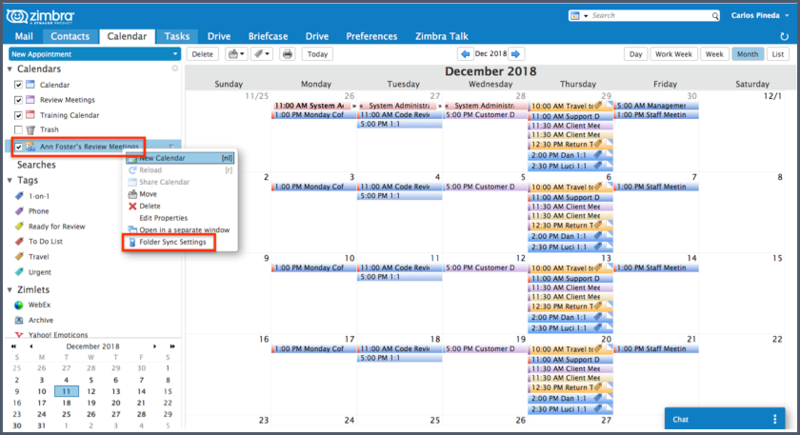 Now that you have successfully added your Zimbra account to Outlook, you can sync your shared email folders and calendars. In the Zimbra Web Client, right-click the shared Email folder and choose Folder Sync Settings. 2. Select Enable synchronization for this folder and click OK. Note: Shared resources must be assigned Manager privileges (View, Edit, Add, Remove). If a resource is shared as read-only, it will not sync. 3. 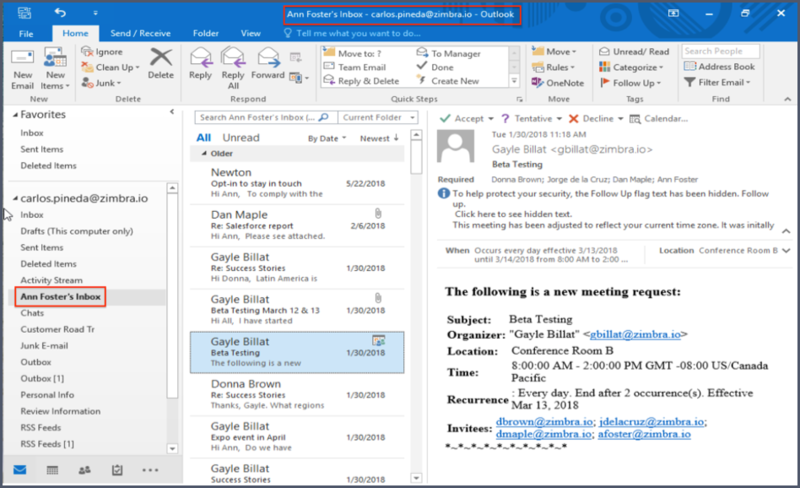 In Outlook, click Send/Receive All Folders to see your shared Email folders. 4. 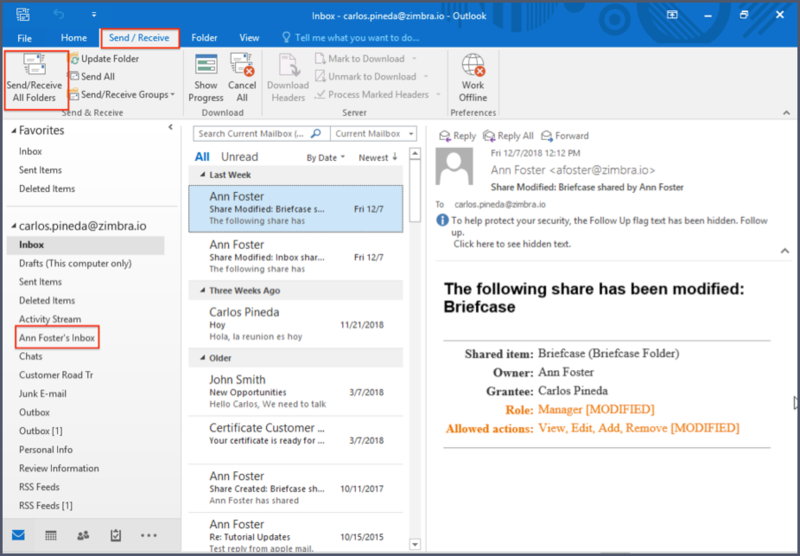 Select the shared folder to use it in Outlook. From the Zimbra Web Client, right-click the shared Calendar and choose Folder Sync Settings. 2. 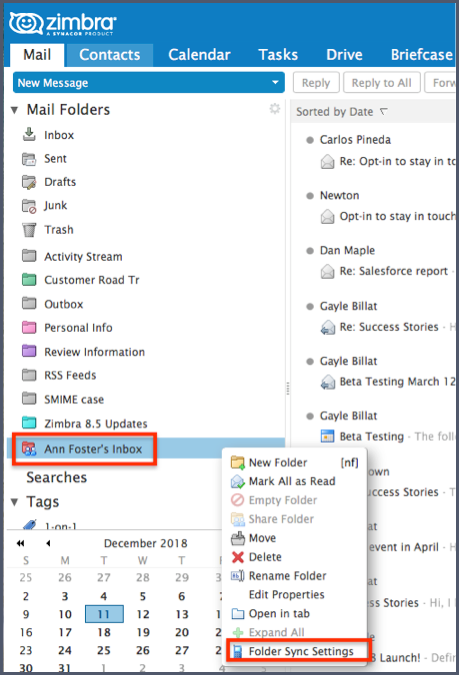 In Outlook, click Send/Receive All Folders to see the shared Calendar. Many thanks to Carlos Pineda for this post! Please identify server side settings and which versions of Zimbra this is compatible with. Does it work with Open Source Edition or only certain versions of paid Network Edition? Great post. We appreciate the tips and tricks. Hi John – This feature is available in ZCS 8.8.10+. We are working on adding the server side settings to the post and getting an answer to OSE or NE. Stay tuned. Thanks. Hi John – at least ZCS 8.8.10 is required, and Mobile Sync must be enabled so users can work using the ActiveSync protocol. 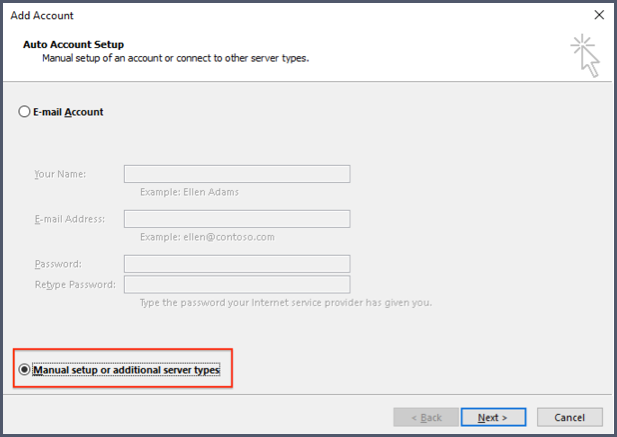 There is no additional configuration required on the Zimbra server side. Thanks!